Indoor mouse activity ramps up during the colder months in Columbus, Ohio. With fall coming to fruition and winter rapidly approaching, it is only a matter of time before mice begin to look for warm places to take shelter. Unfortunately for Columbus homeowners, mice tend to think of houses and apartment complexes as fantastic living spaces. If you notice mice crawling around your living area or becoming active inside of walls, crevices, or the attic, it is best to solve the problem immediately. 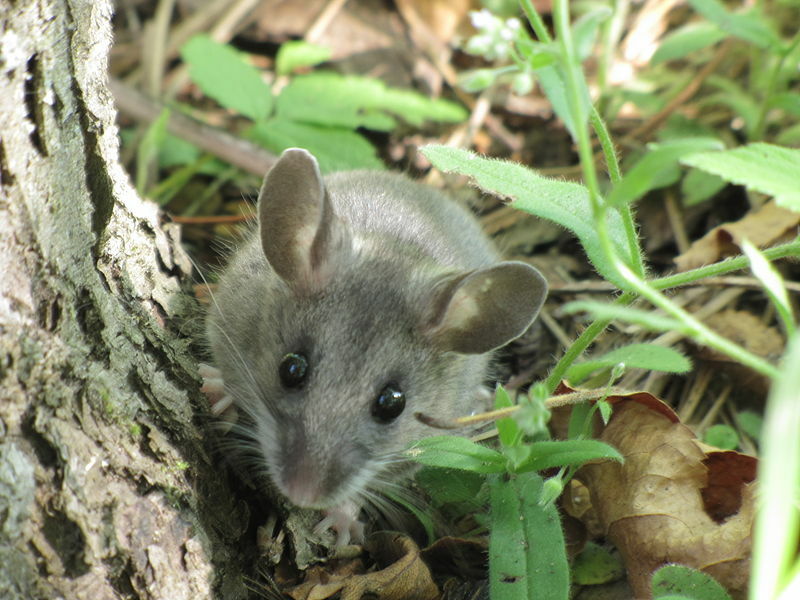 To learn more about mice and other rodents in Ohio, click this link. Buckeye Wildlife Solutions is Columbus, Ohio’s most trusted mouse removal service. Don’t let mouse problems pile up. Call BWS at (844) 544-9453 for expert mouse removal service today! Mice can get into your home in several ways. Holes as small as 3/4″ in your walls, windows, doors, etc. will allow for mice to invade your property. If you allow mice to gain access to your home, they have the ability to become very annoying and difficult to remove. Mice will eat through foods, structural material, and many other things you might value. They are particularly attracted to kitchens, pantries, and other places which house foods. Like many rodents, mice are known carriers of many diseases including Hantavirus that can potentially cause you or your family harm. The diseases can be spread in a variety of ways including waste, contaminated foods, bites, and more. Furthermore, they can hide in tight, concealed areas so that you may not even notice that they have entered your home. If left alone, mice can do significant damage to your home. They can, unfortunately, be difficult to remove using brute force and basic traps. A professional mouse removal service is simply the best, most effective option. Call Buckeye Wildlife Solutions at (844) 544-9453 for expert mouse removal service today! How Do I Get Rid of Mice in My House? Experience and professional studies suggest that a professional mouse exclusion job is your best option. In many cases, people decide to use mouse traps to catch problem mice. They are, however, very hit-and-miss. If you aren’t careful, they can even attract more mice! Columbus Ohio’s Buckeye Wildlife Solutions offers a customized mouse removal plan to solve any mouse problem you may have. We use professional-grade traps to capture any and all mice in your home or attic. For your convenience, we also cover prevention after performing the exclusion. Our local staff is uniquely qualified to handle your mouse removal service needs. Years of training and plenty of experience with Columbus area exclusion jobs make us the perfect solution to your mouse problem. Therefore, if you’re ready to get rid of mice, you should call Columbus’s #1 mouse removal service, Buckeye Wildlife Solutions, today at (844) 544-9453!